28 cm (11 inches). Weight is around 7.5 kg (16.5 lbs). Double-layered with a topcoat that is rough and hard and a soft, short undercoat. The color is always white. Also commonly referred to as the Westie, this breed is a boisterous, playful, alert, and independent breed. It is very extroverted and can be stubborn. Also commonly referred to as the Westie, this breed is a boisterous, playful, alert, and independent breed. It is very extroverted and can be stubborn. The West Highland White Terrier needs to be trained at a young age not to try to dominate other dogs or chase cats. If you have children, it makes a good playmate because it can handle rough play. You can find Westhighland Terrier puppies priced from $300 USD to $2800 USD with one of our credible breeders. Browse through our breeder's listings and find your perfect puppy at the perfect price. The West Highland White Terrier needs to be trained at a young age not to try to dominate other dogs or chase cats. If you have children, it makes a good playmate because it can handle rough play. The coat must stay hard so it is not recommended that it be washed too frequently. If the dog gets dirty, the hair should be allowed to dry and then be brushed out. The coat needs to be hand-plucked twice a year. This particular dog can be naughty, so occasionally it may need to be corrected. Training will have to be consistent and firm. This dog loves to run around, play with balls, and just have a good time. In spite of its diminutive size, it does need a lot of exercise. It will try to wander off, so a well-fenced yard is required. Westhighland Terrier Puppies for Sale - Shipped Worldwide! Finding the right Westhighland Terrier puppy can be dog gone hard work. PuppyFind® provides a convenient and efficient means of selecting and purchasing the perfect Westhighland Terrier puppy (or Westhighland Terrier puppies) from the comfort of your home, 24 hours a day, 7 days a week. Take advantage of our PuppySearch or leisurely browse our directory of hundreds of dog breeds, Westhighland Terrier dog breeders, Westhighland Terrier dogs for adoption, and Westhighland Terrier puppy for sale listings with photos and detailed descriptions. 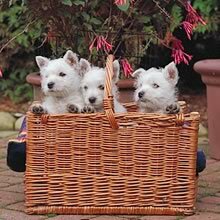 Some Westhighland Terrier puppies for sale may be shipped Worldwide and include crate and veterinarian checkup. Many Westhighland Terrier dog breeders with puppies for sale also offer a health guarantee. With thousands of Westhighland Terrier puppies for sale and hundreds of Westhighland Terrier dog breeders, you're sure to find the perfect Westhighland Terrier puppy.